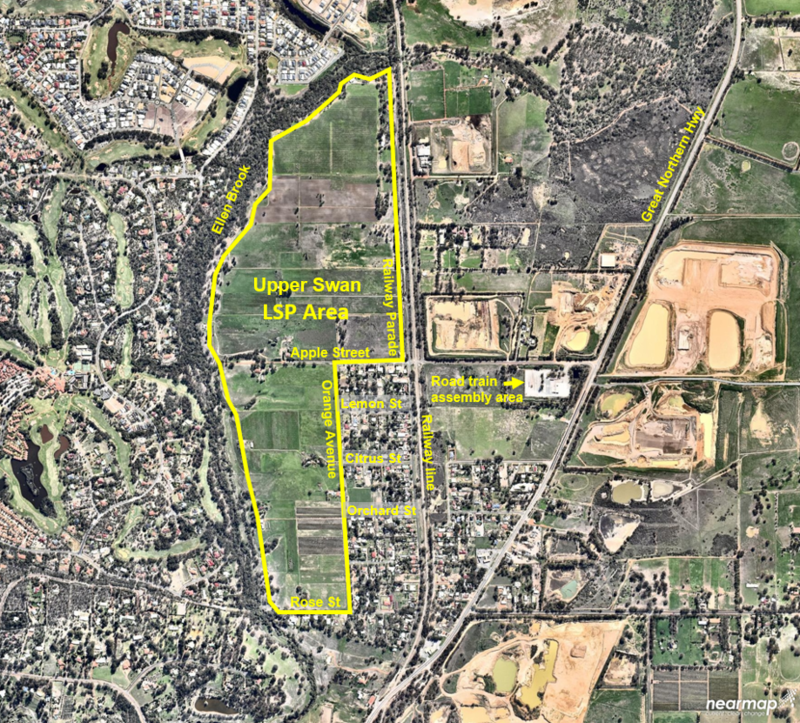 Transcore has been involved for more than ten years in relation to transport planning for future development on various landholdings on the western side of the railway line at Upper Swan. This included assisting landowners in negotiations with the City of Swan about developer contributions toward a bridge on Railway Parade, over the Ellen Brook watercourse. Since 2015 Transcore has been part of Satterley’s project team on their Upper Swan Local Structure Plan (LSP). Transcore has undertaken detailed traffic modelling of the LSP and surrounding area and prepared the transport impact assessment report for that structure plan. The analysis for this project has involved a number of unusual challenges, including planning for a future dual-lane roundabout at the Great Northern Highway (GNH) / Apple Street intersection, which needed to take into account the number of heavy vehicles including road trains on the highway. It has also required detailed analysis of staging of development in terms of Satterley’s anticipated release of residential lots, construction of the Railway Parade bridge by the City of Swan (which will allow some through traffic from north Ellenbrook through this area) and construction of the NorthLink WA project that will reduce the traffic load on the highway when NorthLink is completed in 2019.